The land which lies south west of Perth has been in the Dewar family for over 100 years. It was first bought by John Dewar Jr, the 1st Baron of Forteviot, son Dewar’s Whisky founder John Dewar Sr. The family’s whisky business started in 1846 and expanded in 1896 with the establishment of the Aberfeldy Distillery, which is still in use today. Dewar’s Whisky is now owned by Bacardi, however the family retain close ties with Perth within the Dupplin Estate. The stretch of land encompasses residential properties, farming land and forestry and is also home to the historic model village of Forteviot, the namesake of the family peerage. The village was designed by architect James Miller in 1923 and was visited by Prince William and Kate Middleton, the Earl and Countess of Strathearn in 2014. The area also has ancient historical significance with Castle Law, a contoured hill fort and Iron Age Pictish fort. 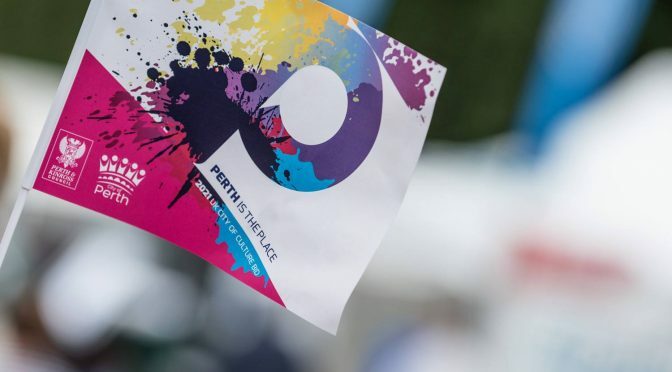 The Estate has decided to back the bid due to the potential for the City of Culture title to promote Perth as a tourism and cultural hub. “I am pleased to lend my support to Perth & Kinross Council’s bid for Perth to be the next UK City of Culture in 2021. Perth has been a rich vein in my family’s history with the development of the Dewar’s whisky business from its global headquarters in Perth, the acquisition and development of Dupplin Estate and the philanthropy and public services of my recent forebears. Time has passed and the whisky business has moved on and away from Perth but our family has continued its connection and commitment to Perth. For all its rich heritage the modern day Perth faces many social challenges and divisions of a rapidly evolving society. It appears at times that the city struggles to keep pace with these changing demands despite the ambitions of many to help it do so. I see the UK City of Culture bid as the catalyst to achieving that transition to a tourist and cultural hub that will serve the much wider community, both rural and urban, that associates itself with the city. “I warmly welcome the support of the Dupplin Estate. The Perth 2021 bid will focus on a number of themes, and the beautiful rural backdrop of Perth will be a focus, as will our local heritage and history. The City of Culture bid has the potential to return real benefits to the people of Perth and Kinross and will, if successful, potentially attract thousands of visitors to the area over the course of the City of Culture year in 2021.